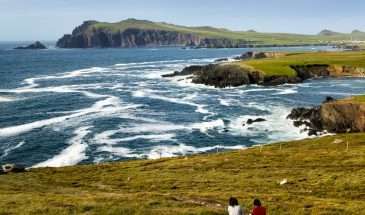 The mountainous peninsulas and deep-sea inlets of Kerry make for a spectacular Kerry Way Walking Tour on Ireland’s Wild Atlantic Way. The impressive MacGillycuddy Reeks form the centrepiece of the ring of Kerry circuit. Starting in Killarney, your walking tour takes you via Killorglin, Caherciveen, Waterville, Kenmare back to Killarney across Moll’s Gap and past Ladies View. County Kerry has an impressive collection of historical and archaeological sites that date back over 7,000 years, with several ancient forts and numerous early Christian churches. Skellig Michael is a world heritage site on account of its 6th-century monastery, with beehive huts, oratories and inscribed crosses. Small Skellig is home to over 40,000 gannets, the second largest colony in the world. 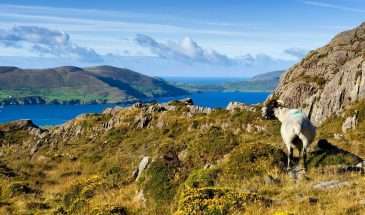 The Kerry Way is a delightful one-week walk, and along the way, you’ll enjoy plenty of good Irish cheer. The popular town renowned for its three magnificent lakes in the heart of Kerry. 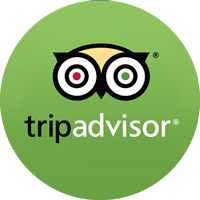 On arrival at your first guesthouse, your hostess will give you your full detailed information pack. She will also be able to suggest some of the many local restaurants or pubs for food and possibly music. Access for this holiday can be from Dublin, Cork or Shannon Airports with bus and/or train connections available to Killarney all year round. You will be transferred/driven to the start of your walk – about 5kms outside Killarney. From here you walk across Killarney National Park and through Esknamucky Glen to the heritage town of Kenmare. 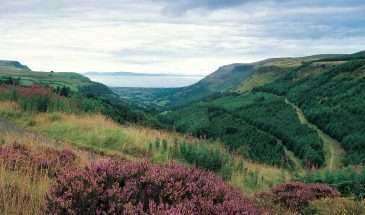 This is a glorious walk, giving you an opportunity to see some of Ireland’s native red deer as you walk through the National Park. Overnight in Kenmare.Walk Details: Distance: 22kms. Duration: 6 hours. Max. Height: 400m. Mountain tracks and green roads. Can be wet underfoot – boots essential. Continue walking from the village of Sneem, following an old ‘butter road’ to the little village of Caherdaniel – once home of our famous liberator – Daniel O’Connell. The views across the Beara Peninsula and out to the Atlantic Ocean are fantastic. 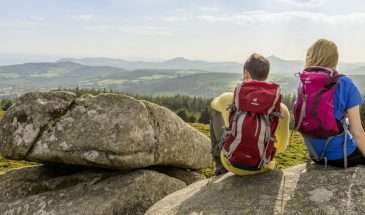 Overnight in Caherdaniel.Walk Details: Distance: 19kms. Duration: 5.5 hours. Max. Height: 400m. Country lanes, grass tracks, rocky mountains and some road walking. Boots essential. Continuing from the village of Caherdaniel, you walk around and above the coast to reach the town of Waterville. Glorious coastal views out towards the Skellig Islands and Ballinskelligs Bay. Overnight in Waterville.Walk Details: Distance: 16kms. Duration: 5 hours. Max. Height: 350m. Rocky and grass tracks, mountain tracks and bogland and some road walking. Boots essential. From Waterville, you will once again be driven a short distance to the starting point of today’s walk at Mastergeehy. From here you will be walking to the town of Caherciveen. 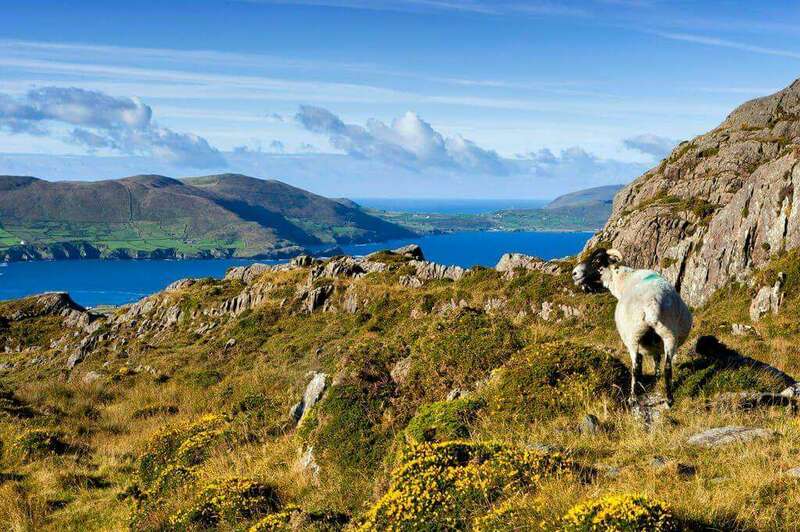 This walk takes you across the tip of the peninsula with views north over the Dingle Peninsula and south to Kenmare Bay. Overnight in Caherciveen.Walk Details: Distance: 24kms. Duration: 6.5 hours. Max. Height: 400m. Grass mountain tracks with some rocky sections. Gravel tracks and some road walking. Boots essential. Departure from Glenbeigh by bus or taxi to Killarney. Bus leaves at 08:45 and arrives at 09:50 (Does not operate on Sundays or Public Holidays). From Killarney, connections by bus and train are frequent to Cork, Limerick, Shannon or Dublin.